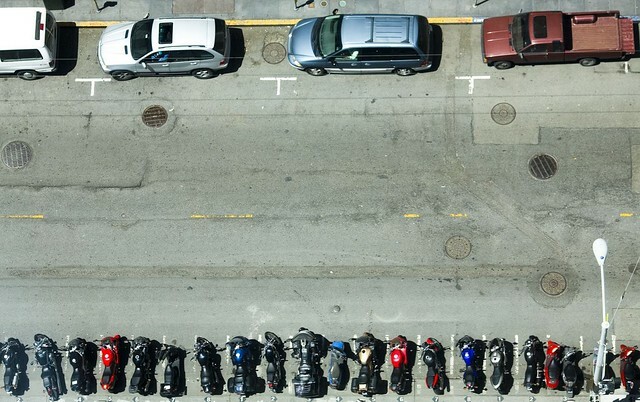 Do you want motorcycle-only parking in New York? So do we! Do you think the city and state should be encouraging more people to ride motorcycles? We do too! Do you believe the NYPD and NY State Police have better things to do than stop, frisk, and harass everybody on two wheels? We could not agree more. Support the NYMSTF for NY riders! Do you believe that the number one threat to motorcycle safety is inattentive car drivers, who are enabled by city and state governments which don’t understand the issue or don’t care enough about our safety? We want to change that. Do you believe that life would be better, safer, and more enjoyable if more people rode a motorcycle or motor scooter on a daily basis? That is what we are all about. We understand that not everybody has the time to attend a community board meeting, or meet with their elected representative. However, there is something you can do right now. By donating money to the NYMSTF, you help us defray the costs of fighting for these things. You help pay for printing, internet hosting, and all the operational costs necessary to press for a change in attitude towards motorcycles and motorcyclists in New York. Help us today, by making a donation!